There can never be enough LEGO games for gamers to drool over and so every single announcement of a new experience is a welcome one. And whilst we’re not seeing anything totally new this time round, the arrival of the remastered LEGO Harry Potter Collection is certainly one to keep an eye out for. Announced today by Warner Bros, TT Games and The LEGO Group, the LEGO Harry Potter Collection brings together LEGO Harry Potter: Years 1-4 and LEGO Harry Potter: Years 5-7 all in remastered form to Xbox One and Nintendo Switch. Due for arrival on November 2nd 2018, the Collection promises to unite the signature humour of LEGO games with the expansive Wizarding World for a thrilling journey full of spell-casting, potion-making, and puzzle-solving fun. That means gamers can experience the entire LEGO Harry Potter adventure from start to finish with it featuring content from the eight films just now with enhanced graphics, environments, lighting and visual effects. The addition of two DLC packs just seals the deal and these include a Character Pack featuring Godric Gryffindor, Harry (Yule Ball), Helga Hufflepuff, Lockhart (Straightjacket), Luna (Lion Head), Peeves, Hermione (Pink Dress), Ron Weasley (Ghoul), Rowena Ravenclaw and Salazar Slytherin, as well as a Spell Pack featuring Cantis, Densaugeo, Ducklifors, Melofors and Tentaclifors. LEGO® Harry Potter: Years 1-4 is based on the first four films – Harry Potter and the Sorcerer’s Stone, Harry Potter and the Chamber of Secrets, Harry Potter and the Prisoner of Azkaban and Harry Potter and the Goblet of Fire. LEGO Harry Potter: Years 5-7 meanwhile transports players through the final four films – Harry Potter and the Order of the Phoenix, Harry Potter and the Half-Blood Prince and Harry Potter and the Deathly Hallows Part 1 & 2, giving us the chance to experience Harry’s last years at Hogwarts and his battle against Lord Voldemort. 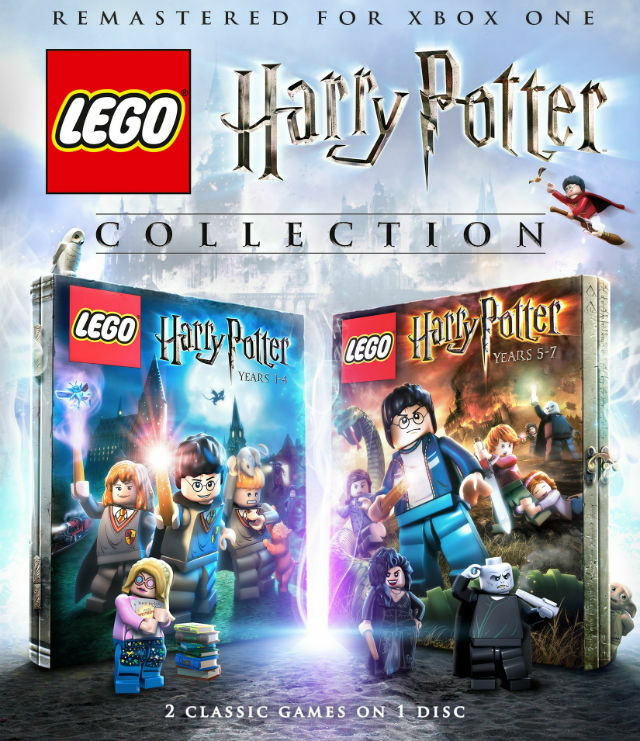 We will be sure to remind you when the LEGO Harry Potter Collection is available for purchase. You may as well watch the trailer for now though.